We're talking about HTML (HyperText Markup Language) and CSS here. HTML is the building blocks of a website that your browser understand. It's basically markups that tells the browser whether to display a header, a block, a horizontal line, etc. CSS is coding that adds style or design to all the elements on a webpage. So if you want to make a font bigger, a padding for a box bigger, a background color for a sentence - those are all CSS. Lucky for us, we now have a design framework that just makes everything brainlessly simple. Enter Bootstrap. 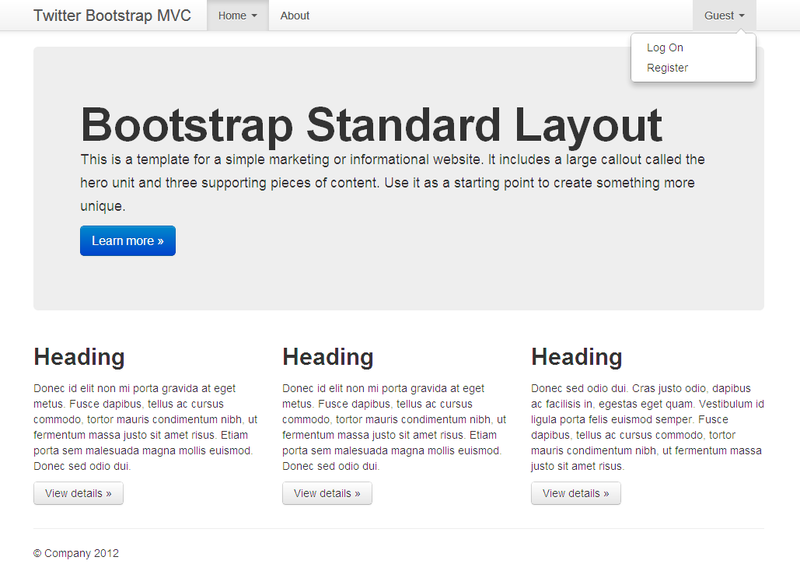 Bootstrap is a framework that has almost all the elements of a webpage pre-made for you. You can basically just copy and paste their template code to get a beautiful world class website design. They have modularized everything so that everything is in a block of code. In fact, 80% of StartitUp's website is built using Bootstrap. The template above from Bootstrap is a copy and paste template. You can just go to to this page and find the template you want and your landing page is done!.